Capturing the magic of a landmark is not a trivial task. To create a digital hub that expresses all of its creative, diverse and international excitement is a deeper endeavor. 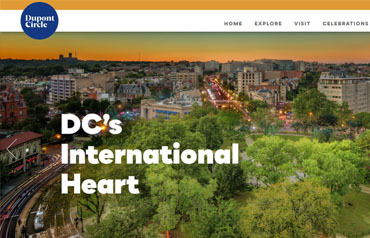 This was our challenge when we collaborated with the newly formed Dupont Circle Business Improvement District to launch their digital presence. 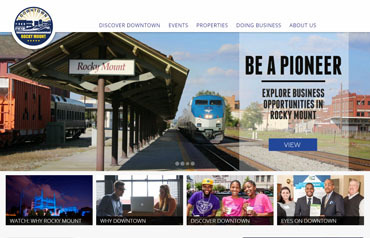 A charming downtown that embraces the creative economy, historic preservation and traditional retail, Downtown Rocky Mount is the gem of northeastern North Carolina. This inspired collaboration between the public and private sector is a case study itself in economic rejuvenation. Our platform was the perfect way for the Rocky Mount team to enhance their unique positioning. 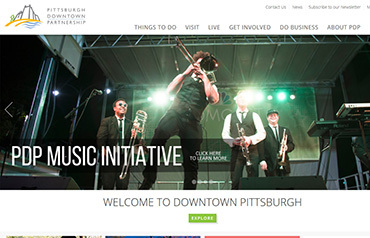 Known to be an invariably strong and vital city, Pittsburgh’s post-recession boom was an inspiration to the nation. But as its city center was praised for the country’s best restaurants, bars and urban living, Downtown’s digital presence had some catching up to do. That’s where Saltwater Software stepped in. 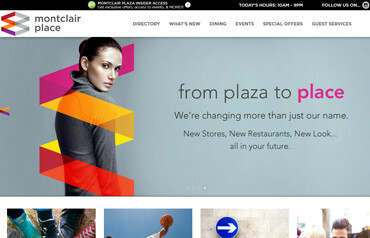 Montclair Plaza had come to be known as "The mall." Stores. Shopping. Food court. Which worked well for years. But as time marched on and more stylish competition moved into the neighborhood, Montclair Plaza realized it needed not only a major renovation but a total reinvention. 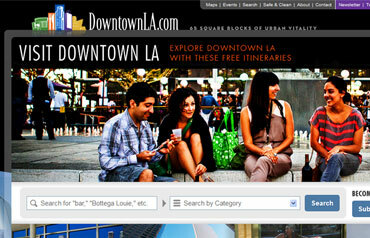 Downtown LA has a lot of amazing things — but it also had an image problem. Visitors to Los Angeles weren't consideringDowntown LA in their travel plans, and Los Angeles-area residents were largely unaware of the sweeping renaissance which had revitalized the destination for businesses, residents, and tourists alike. 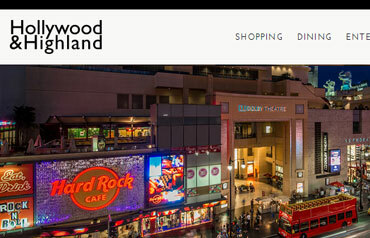 Hollywood & Highland is more than a mall — it's an entertainment destination. From LA's best theaters to Hollywood's hottest nightclubs, from live concerts to major movie premieres and the Academy Awards, and from the world-famous Walk of Fame to stunning views of the Hollywood sign... Hollywood & Highland is the epicenter of Hollywood. 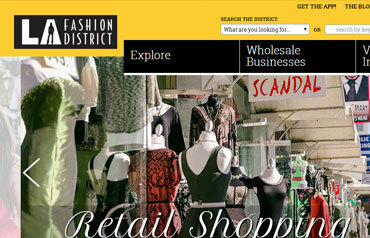 If anyone understands the deep need for reinvention, it's the LA Fashion District. As Downtown Los Angeles enjoyed its revitalization, the Fashion District recognized the need to expand and enhance their image as well. Although it may be called the Fashion District, this colorful neighborhood also houses an entire Flower District, a growing residential population, and cutting-edge dining and nightlife. Hungry to showcase their vibrant neighborhoods, diverse retailers, and artistic forces, the Fashion District needed a website that could deliver their something-for-everyone message in a memorable way. 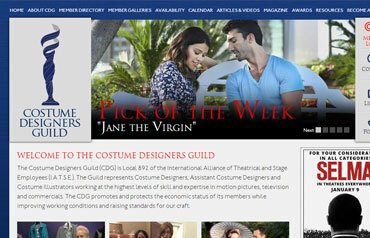 The Costume Designers Guild needed a new website, and this was no dress rehearsal. They needed to integrate new systems with legacy member data while upgrading key areas of the platform to build in greater member value. What's more, the new platform had to make it easy for Guild staff to manage everything themselves at a moment's notice.